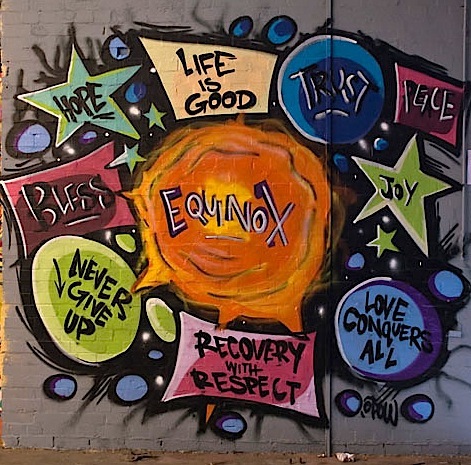 Equinox provides support services to people with mental ill health, history of homelessness and drug / alcohol dependence. 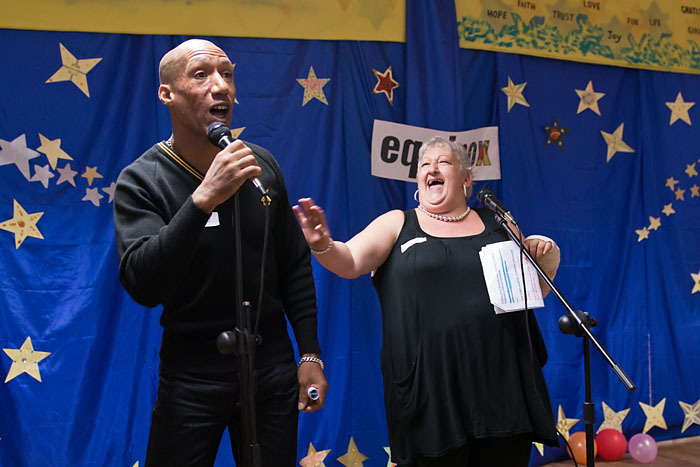 The brief was to create a day of recognition, celebration and fun for Equinox service users, family members and volunteers (120 guests). Equinox service users were to be involved in planning and delivering their day. 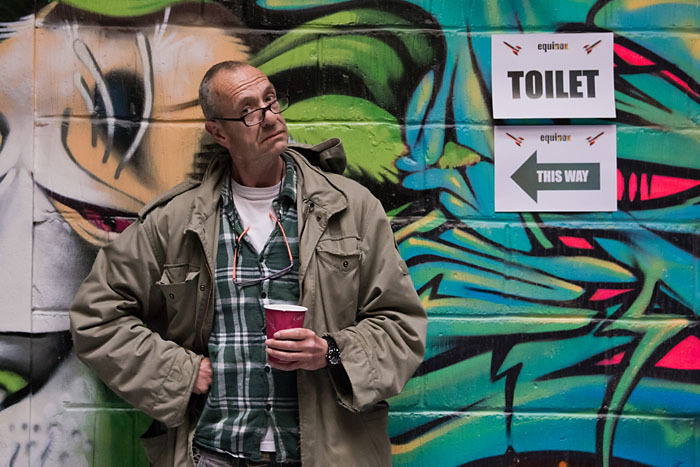 I brought together and managed a team of Equinox service users to create and shape their day. For four months, I held fortnightly planning meetings to shape event theming, content, team roles etc. This required sensitivity to the needs of a diverse group, including people with mental ill health and physical disability. Located central London venue, 4749 Creative Studio – negotiated reduced venue hire for full day event and set up the day before. The venue was a large creative studio space near Tower Bridge that required theming, furnishing and decorating for the event. Theming / venue transformation – devised ‘Rocket to Recovery’ theme in group brainstorming process. 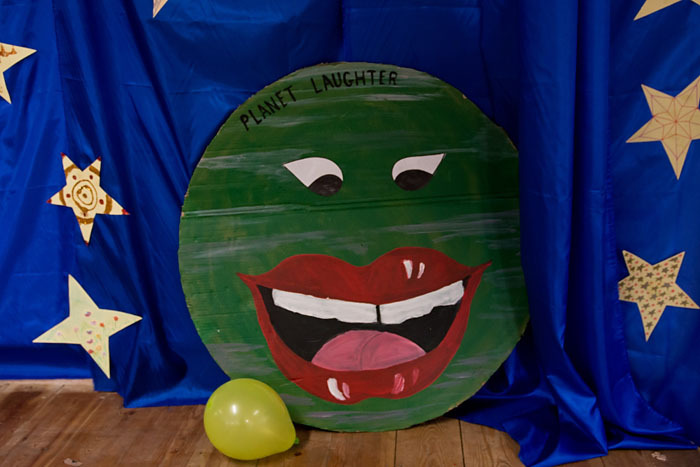 Event theming carried through to posters, invitations, venue decorations, themed event content (Planet Laughter, Planet Recovery, Planet Party, Planet Giving), venue artwork and photography. Arranged graffiti artist Alex McLelland to paint a bespoke mural for Equinox in record time! Produced and directed Equinox “Family Matters” film – 12 minute film featuring interviews with Equinox service users, edited to produce clear narrative celebrating individual recovery and family experiences (available to view on request). Arranged photographer Phil Bourne – free photography services for the event. Creativity Zone – working closely with Equinox service user Lloyd, we brought together a selection of artwork from Equinox services in London and the South East for an exhibition, as well as creating bespoke themed artworks and decorations for the venue. 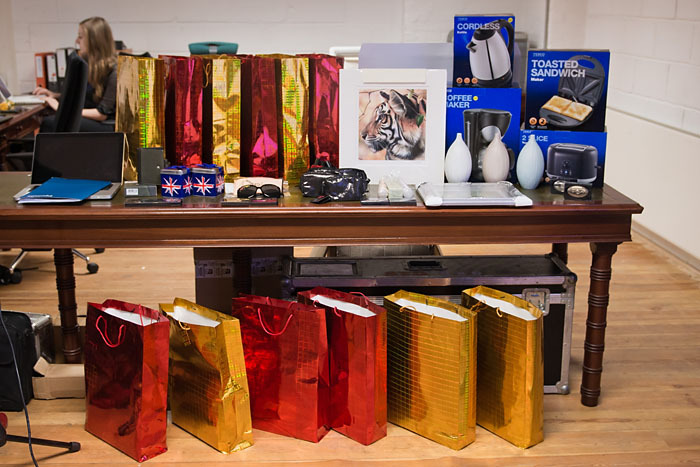 Sourced top sponsor for raffle – Tesco (donated prizes of electrical goods). 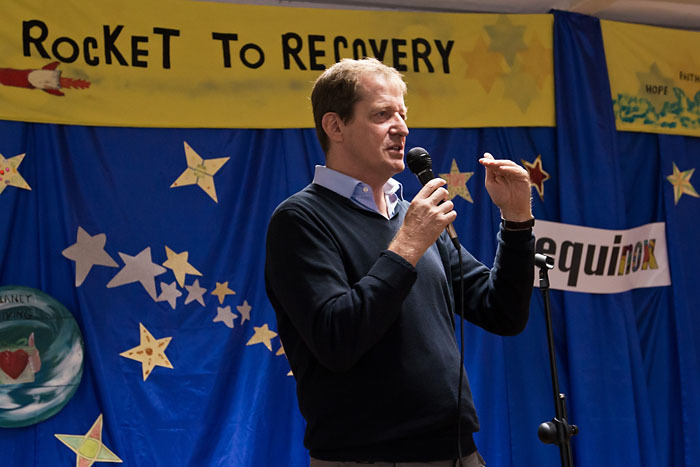 Facilitated service users to find additional raffle sponsors (Waterstones, WH Smiths, Boots). Sourced free drinks and snacks for the event from sponsor Tesco. Catering for 120 people (hot Caribbean food sourced by event team member, tea / coffee, selection of cakes for afternoon tea) – achieved within budget. Wrote, published and tweeted post-event website news stories for Equinox website + Twitter, plus provided content for internal service user magazine.